The New Skimz Leopard SL203 with VSC mini series DC pump. The VSC (variable speed control) DC pumps are completely controllable, the air intake and water throughput can be adjusted via the controller. 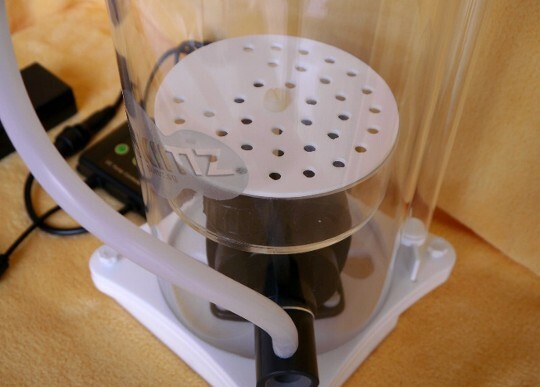 The new Skimz Leopard protein skimmer uses the same DC pump of Skimz Monzter SM163, SM203 and SM253. With the incorporation of the Micro-Adjustable Valve (MAV), this pipeless protein skimmer reduces the footprint inside the sump tank. 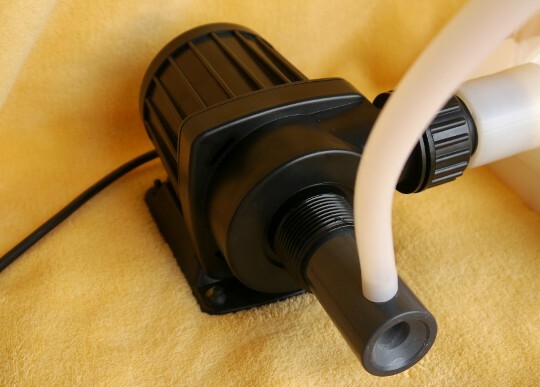 VSC mini series Skimmer DC pump. 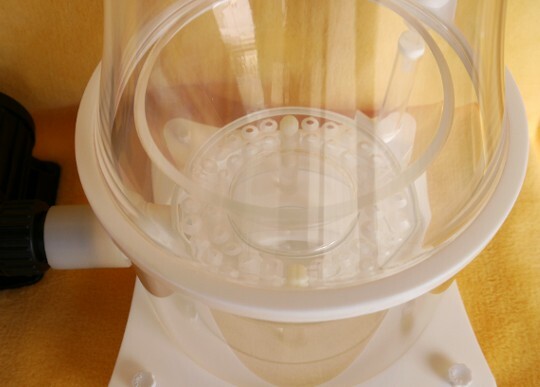 Skimz Leopard’s integrated Inverted Cone (IIC) channel bubbles to the outer side of the chamber to achieve optimal skimming performance. This significantly reduces surface agitation, thus creating superb foaming within the skimmer and results in increased skimming efficiency. 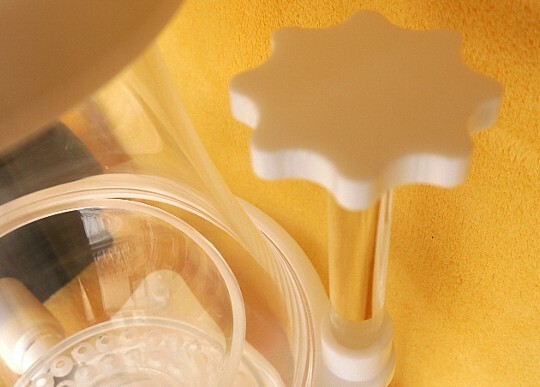 Skimz Micro-Adjustable Valve (MAV) for easy and precise setting of water level in the skimmer body. 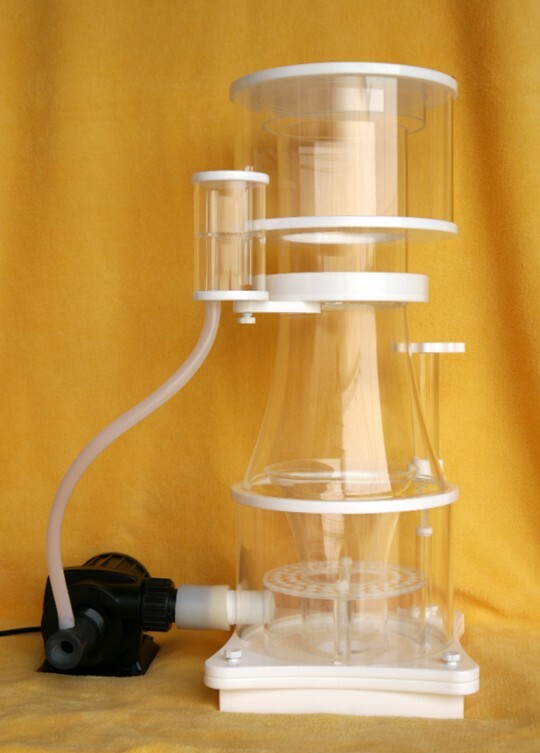 this pipeless protein skimmer reduces the footprint inside the sump tank. 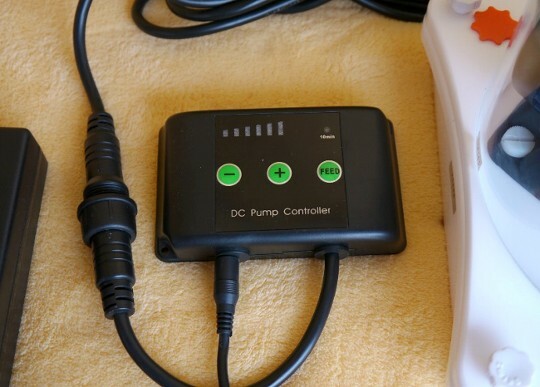 Variable speed controller for the Skimmer DC pump.